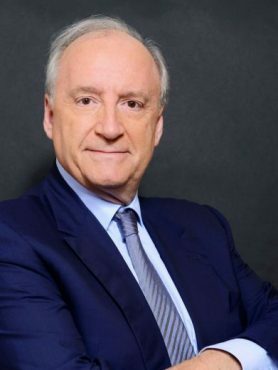 A graduate from Sciences Po and ENA, Hubert Védrine successively served as a diplomatic advisor, spokesman and Chief of Staff under the presidency of François Mitterrand, from 1981 to 1995. From 1997 to 2002, he was Minister of Foreign Affairs during the presidency of Jacques Chirac. Since 2003, Hubert Védrine is heading his own public consulting firm Hubert Vedrine Conseil specialized in foreign, economic and geopolitical affairs. He also chairs the François Mitterrand Institute and since 2006, sits on the Koffi Annan High Level Group of the Alliance of Civilizations.